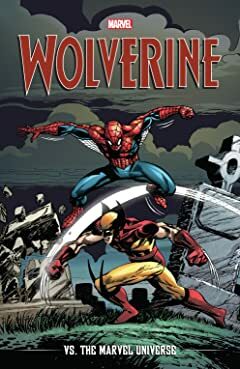 Collects Captain America Annual #8, Daredevil (1964) #249, Spider-Man vs. Wolverine #1, Incredible Hulk (1968) #340, Wolverine (1988) 134, Wolverine vs. Thor #1-3, Marvel Universe vs. Wolverine #1-4 and material from Marvel Comics Presents (1988) #117-122. Wolverine takes on all comers in a collection of his classic brawls with Marvel's finest! Sparks fly as Adamantium claws strike Captain America's shield! Wolverine and Daredevil battle over Bushwhacker! Spider-Man's world is forever changed in an espionage thriller! 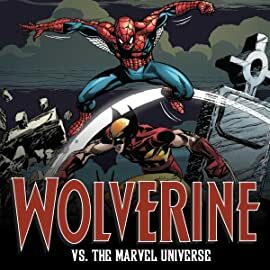 Wolverine renews rivalries with a gray Hulk; has a nightmarish showdown with Venom; and tackles Avengers, New Warriors and more — but his mighty melee with Thor will be legendary! And in an incredible tale, Logan faces the entire Marvel Universe when a deadly plague transforms everyone — human and superhuman — into savage, cannibal predators. Who will make a stand against the endless slaughter? One word: SNIKT!